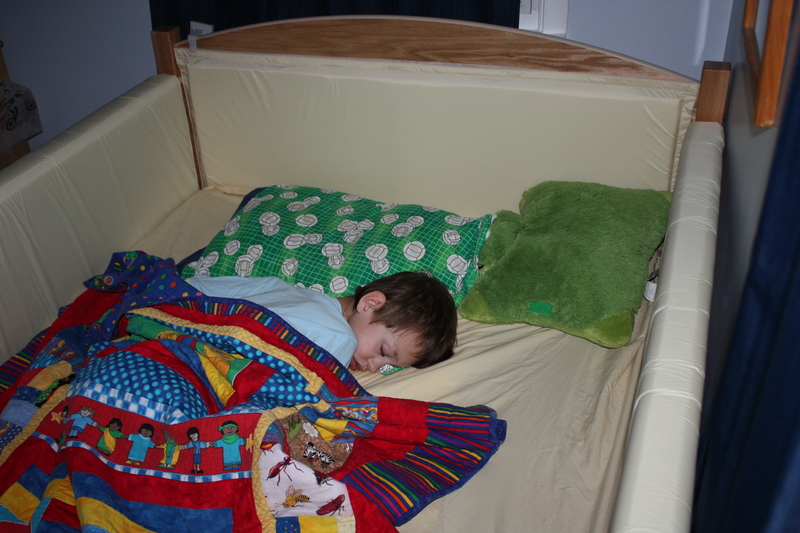 It’s Aidan sleeping in his swanky new Sleep Safe bed. Couldn’t you just eat him up? I believe we each have a story and you never quite know how our stories will intersect. Turns out that our story unknowingly intersected with that of a very kind and generous family. Now, I can only tell you my story and even my parts of the story are precious in a you had to be there but I’m glad you weren’t because it was all the more meaningful to have a private moment with them kind of way. This generous family purchased the bed for Aidan. It’s fair to say that after my being stunned speechless and then bumbling like a fool, there were lots of tears. In another gift of that moment, our physical therapist who has worked with and loved Aidan from birth was there to witness this. She spends her days recommending equipment to families, often discouraged because she realizes it won’t always be covered by insurance. This family’s generosity was a gift of encouragement to her. It gets better. I have to tell you part of the why. They said their days are better when they see Aidan. Can I even tell you what that does to my Mama heart? That’s a gift upon a gift. I believe that everyone has something to give. Let’s not lose sight of that. It may be time, resources, skill, encouragement, casseroles, or in Aidan’s case…joy. Aidan can give joy. I spend so much time making room for Aidan in this world and making noise about how smart he is. Turns out without me even lifting a finger, Aidan was seen and enjoyed. I love that. Getting the bed for Aidan, knowing he will be safe each night, not having to fight harder for one more thing, that is clearly the best part of the story. But guess what? It gets even better. Our durable medical equipment guy (DME) was so encouraged by this story that he knocked a bit off the price of the bed. We’ve been a regular customer of his for years after having some challenging DME experiences at the beginning of Aidan’s journey. I know that he’s genuinely excited for us and he has been encouraged as well. We’re not done yet. Remember the professionally composed nasty-grams I sent to the politicians? I followed up to say that Aidan received his bed. I also said that this issue needs to be addressed because it’s bad policy. I told them I want to be part of the change even if that means continuing to have this conversation until the right people hear it. Thank you to Governor Hassan’s office and Senator Shaheen’s office for listening to a lengthy explanation on my part, following up with the appropriate people, and offering next steps for me. Seriously people, it gets even better. Students from a policy class at UNH heard about our story and decided to take this issue on. They will collect documentation and put together information to present to our legislatures. Making noise. The squeeky wheel. So many other parents paved the way for the life I live with Aidan and I feel hopeful that I can make some positive change for the next family. I’ll just keep telling my story. 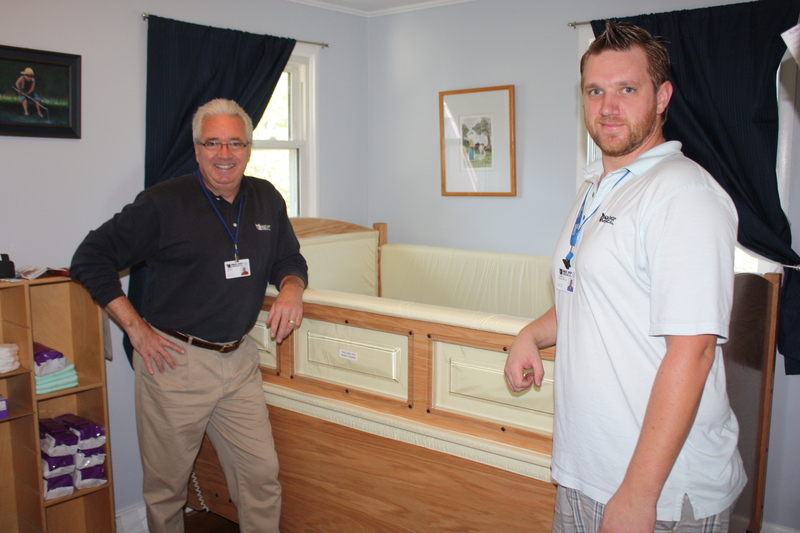 Thanks Tom and Cory from Black Bear Medical for setting up the bed. Previous story A Game of Guess What! Oh my heather, i should know by now to get the tissues closer when i read one of your posts, because typing is a bit blurry right now! Seriously i love the “but wait it gets even better…” we all need that in our lives and i for one am thankful it happened for you and your amazing family. Way to roar mama bear! Thanks Kara. Believe me, I’m still pinching myself and don’t really ever want to get over the amazingness. More than a drum roll, a whole marching band announcement! 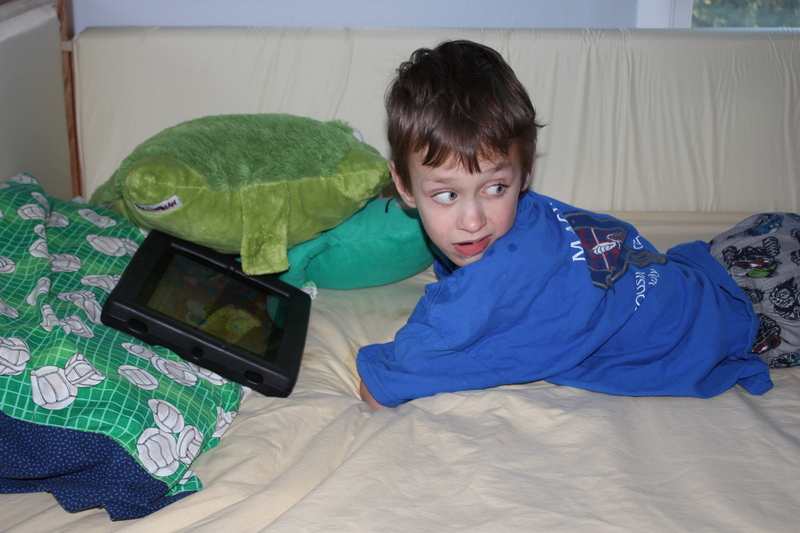 So excited to see Aidan’s new SAFE and cozy bed – it’s almost a playground for him! I am so grateful to those generous folks whose heart Aidan touched. He has that affect on so many….and thank you to Tom and Corey at Blackbear! Now….time to roll up our sleeves and keep going on this issue….onward! Thank you for seeing Aidan & Liam as precious children. Thank you for giving their parents strength. Thank you for seeing Aidan’s perfection and how a Good Night’s Safe Sleep means the difference between Anxiety & Fear versus Sleep & Letting Go. Thank you for REALLY listening. I think you are Magic. Oh Shivaun this is so beautiful. Thank-you! I’m moved to tears by all of it. Talk about a reason to have faith in people, you just listed so many. Keep telling your story, sister. Love you. When I’m not wondering if it’s all still really true, I’m moved to tears too. I miss you! Doing a jig over here for you all. 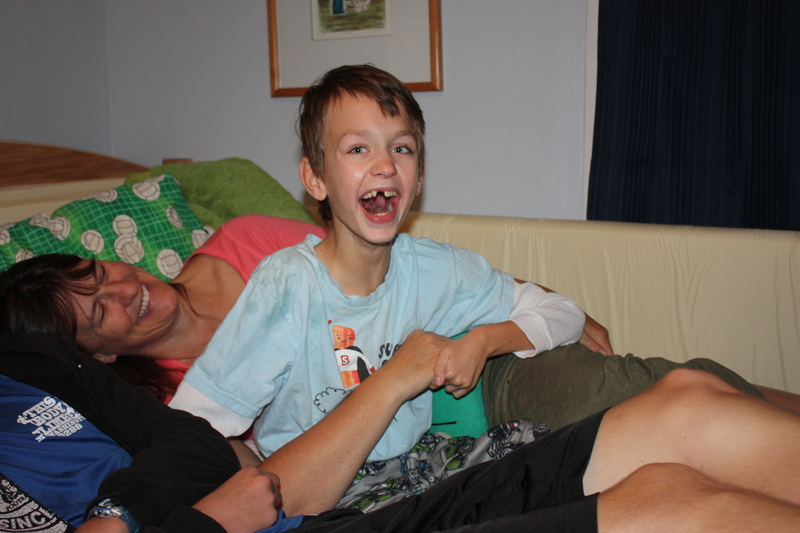 It really is marvelous knowing that Super Aidan is finally safe while resting when he’s in this new bed. And I love being Comrades in Squeakiness. I can’t even. I mean I just can’t even. Love. Awesome!!! And Aidan’s Army marches on….